Which seem to have been taken from a science fiction novel. 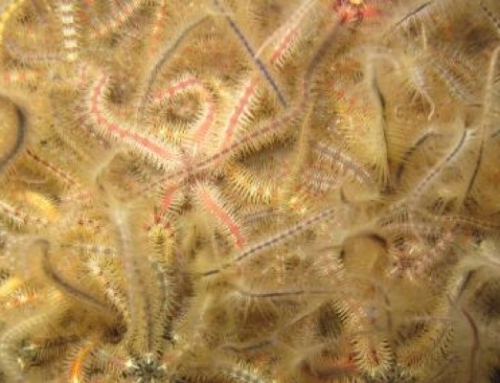 Of many shapes and sizes, with different feeding diets and different reproduction strategies. In a drop of water there is so much life was the first part of this trilogy in which we showed some of the smallest microorganisms, those that support the food chain. 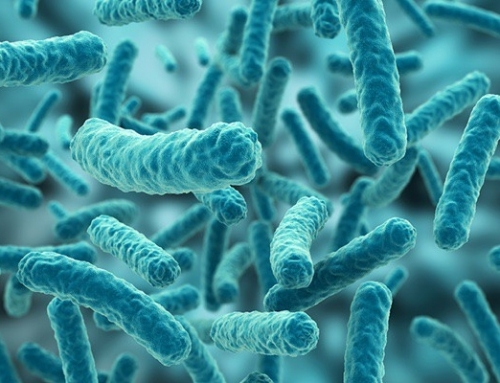 In this second part we will address some of the medium-sized microorganisms as ciliates and dinoflagellates, more complex and certainly surprising organisms. With the ability to move and a much more complex morphology. To start off, we are dealing with real eukaryotes (cells endowed with nucleus and cytoplasm), characteristic representatives of protozoa and with an amazing presence in the marine environment. There are countless species of ciliates, all of them are present in humid environments (both marine and freshwater) and they are characterized by having a surface coated by cilia, normally aligned and equidistant used in a coordinated manner for movement. 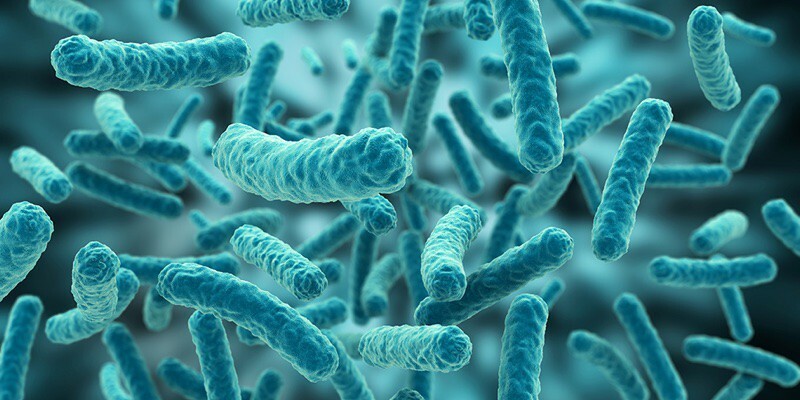 But perhaps the most striking feature of these small-celled organisms is the presence of a dual core with two distinct functions: the macronucleus used to control the main vital functions and micronuclei, much smaller and reserved for reproductive ones. 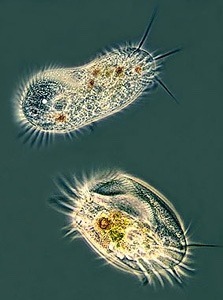 Most ciliates perform phagocytosis, feeding through a specialized, hollow mouth, called cytostome. 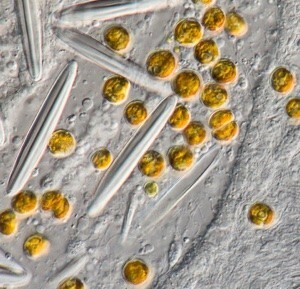 Ciliates are generally avid bacteria consumers, other fungi and smaller protozoa. 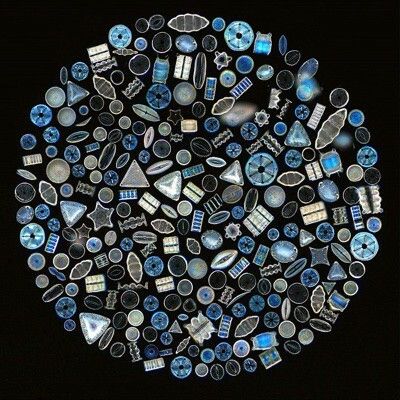 Some of them also eat algae and dinoflagellates, being curious the case of those capable of harnessing the photosynthesis of captured algae, as for example Paramecium viride, maintaining the unicellular green algae inside its guts long before digesting it. 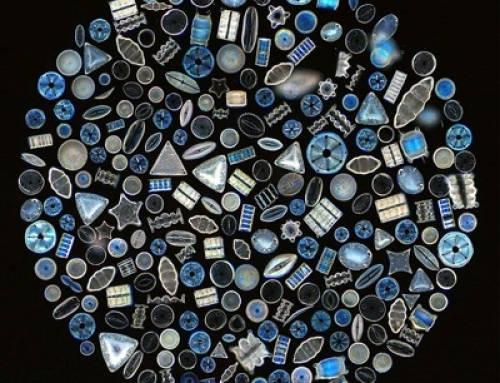 If we put a drop of water under a microscope, It is possible that without using a high magnification, we observe bodies of different sizes (they can range from a few microns to about two millimeters) wandering at different speeds and in a straight line (they can be distinguished from dinoflagellates in that the latter perform rotations while moving). Rare to find, but every time I find one I stop to observe this strange organism and its characteristic way of rotating its cilia around its mouth. 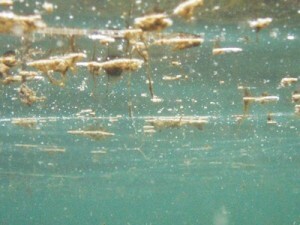 They are very common and abundant in the waters of rivers and lakes, but not so much in marine waters. Rotifers are characterized by ciliary crown, which move in rotation, processing particles and small bodies passing by . When they catch something that interests them, they guzzle it through their modified pharynx called mastax. Unlike other organisms such as ciliates, rotifers can move around slowly, similarly to a worm, although it is unusual they travel far away. There are some species of colonial rotifers and other sessile ones living inside tubes or gelatinous capsules. A curiosity in almost all species is the shortage of breeding males, which makes the division by parthenogenesis to be the most common. males' life is usually very ephemeral and they just behave as small sperm stores (what makes their digestive system to be atrophied); females, much more abundant can live up to two weeks. The best known representative is probably the brachionus plicatilis, a rotifer able to live in both fresh and salt water and an excellent food for any planktivorous animal. This species of rotifer is easily identifiable by its small appendix or foot that permits it make small movements. The females are very prolific and use to carry large numbers of eggs on the sides of their foot. Neither one nor the other but have characteristics of both kingdoms. Dinoflagellates are protists (that kingdom where we send all organisms that do not belong to the animal, vegetable or fungal ones). We talk about unicellular eukaryotic organisms (provided with nucleus), normally photosynthetic and capable of movement. Why are they called dinoflagellates? because of the presence of two flagella, a transversal one that allows them to perform rotational movements and a longer longitudinal one that allows them to travel. The simultaneous movement of these two flagella confers them their characteristic rotational displacement pattern. There are many families of dinoflagellates, perhaps the best known is Symbiodiniaceae, which includes the famous symbiodinium or zooxanthella. 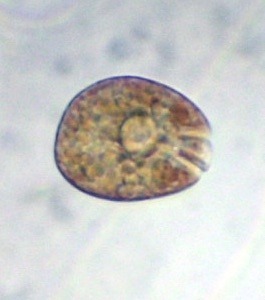 These small dinoflagellates equipped with chloroplasts form symbiosis with most corals and coelenterates, staying in their tissues and providing sugar to their guest. 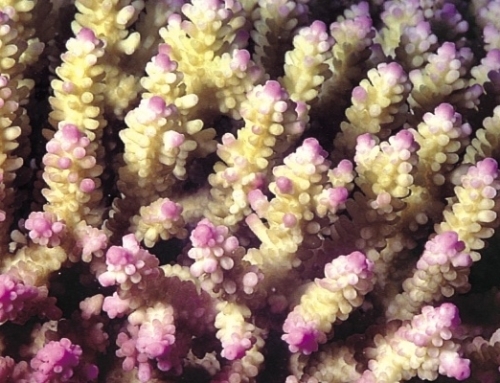 In the picture on the left we can see a colony of zooxanthellae in the tissue of a Aiptasia mutabilis. But there are many species of dinoflagellates and not all are good. In a single drop of water taken from one of my tanks I have come to identify three different species of dinoflagellate. An example of this are some genera of dinoflagellate that concern health authorities around the world as ostreopsis and gambierdiscus. Both are autotrophic, which means they can synthesize food even if they are in a half sterile and without nutrients system (they have chloroplasts that provide sugars through photosynthesis). The main problem with these dinoflagellates is their ability to produce potent toxins that will kill any animal that consumes them (including humans). They do not always develop these toxins and the mechanism that makes them produce them is still unknown. 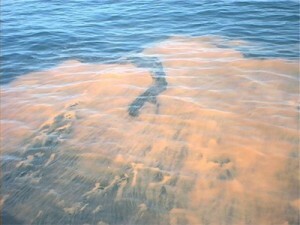 The autotrophic dinoflagellates set an additional problem: their ability to survive in very clean water permits that they hardly find no competition with other microorganisms (that disappear when nutrients such as nitrates and phosphates are depleted), which added to their prodigious reproductive capacity permit them to show up in large slicks that are called red tide. 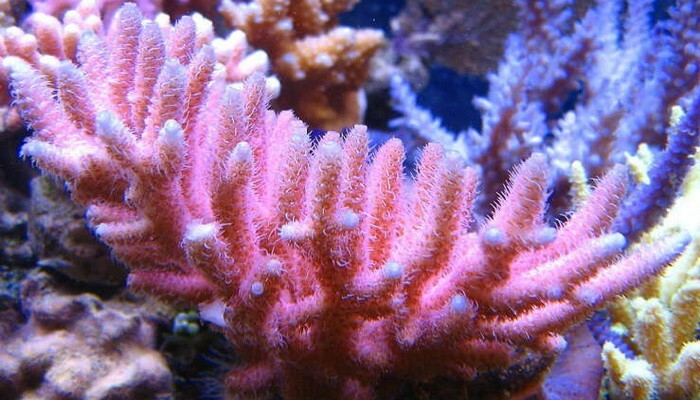 The red tides They constitute a major threat both on tropical and subtropical coasts. They may appear in a few hours and take just a few days to devastate hundreds of hectares, leaving behind a trail of dead fish and invertebrates. 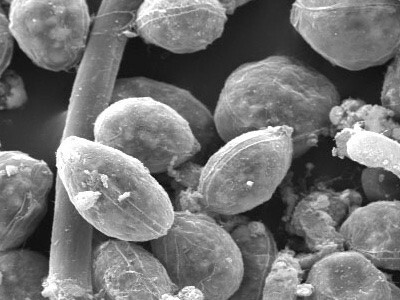 Dinoflagellates are relatively delicate organisms and will easily die if an abrupt change in salinity or pH takes place, although they have great ability to adapt to a wide temperature range (for example there have been found specimens of ostreopsis in Gulf of Mexico, Mediterranean and the coasts of Sweden and Denmark). 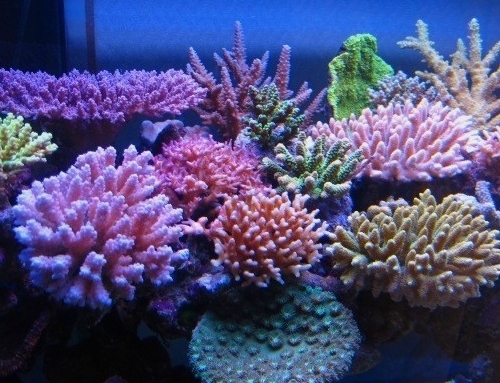 However, I have verified that most of them die when salinity drops from 20 ppm. Their success does not reside on their strength but their amazing reproductive capacity and negligible dependence of nutrients such as nitrates and phosphates. This means that when they enter an environment with low competition they just proliferate to play havoc on it. 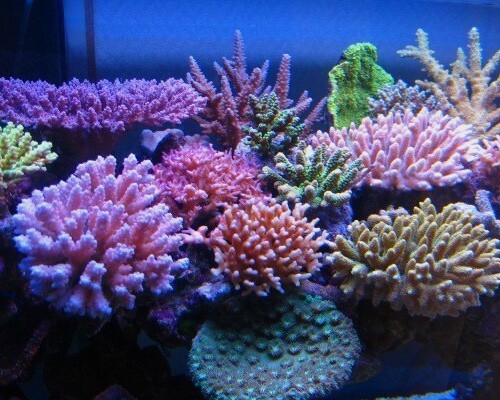 Be unnoticed, typical case of very mature aquariums, with high biodiversity (usually associated with systems with some level of nutrients). Dinoflagellates will be consumed by ciliates, copepods, snails and even fish if they form a mass for them to be detectable. 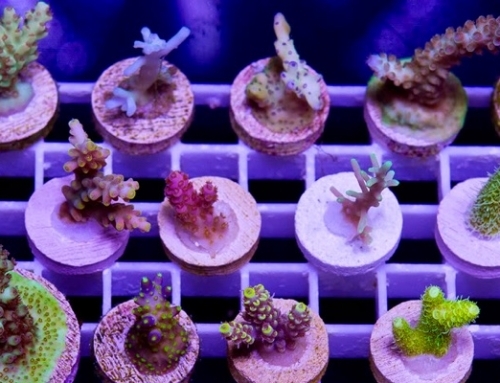 They find no competition, typical case of immature aquariums or those with very low levels of nutrients (watch out those who like to keep acroporas). Dinoflagellates find a place in which they will soon reproduce and choke. 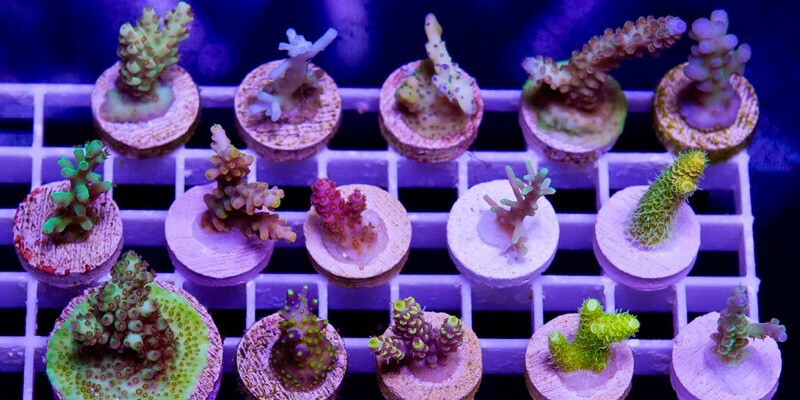 On this situation, the only thing you can do is weaken (minimizing light, their main source of food in a system with minimal nutrients), and extract them by siphoning “seed” the system with other species that can compete with them and / or consume (ciliates, copepods, snails…). 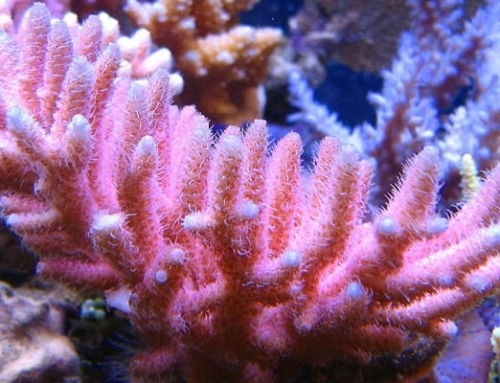 This is a very common species, I would even say that it is present if not in all, in most aquariums. Usually it does not manifest itself and stays completely unnoticed. 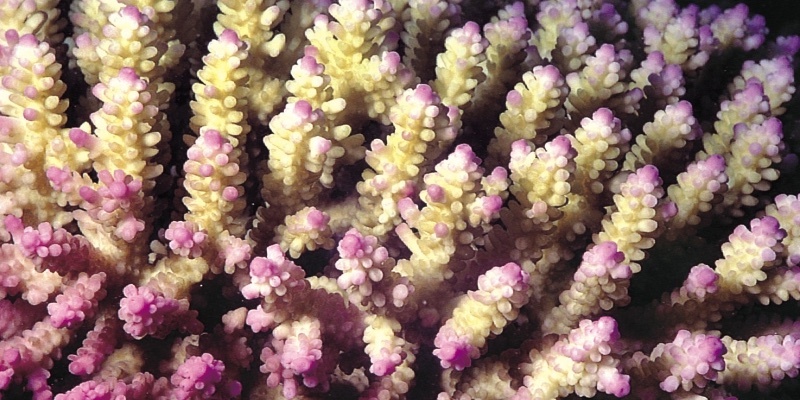 It is not toxic and is devoured by virtually any form of life as ciliates, copepods, snails and even fish. 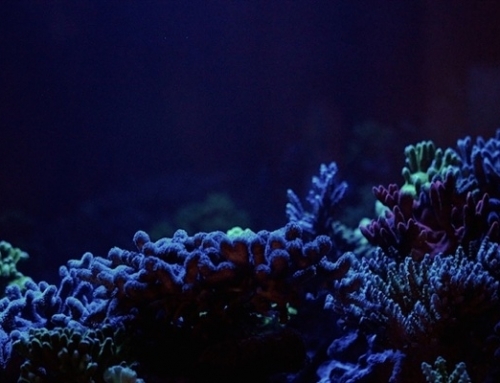 A few months ago it was still a rare species in aquariums but has been an environmental problem for decades, especially in the Gulf of Mexico and Mediterranean Sea (although it is also common in the Bay of Biscay). Although like the previous one it is part of the first step in the trophic system, it can be very toxic and one of the first signs of its presence is the sudden occurrence of dead snails. 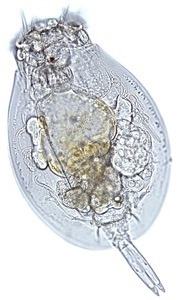 This dinoflagellate has a strategy that makes it very difficult to control: when conditions are no longer favorable, it can build cysts (of various kinds) ensuring its survival, showing up again when conditions become favorable. In the picture above we can see a specimen which has formed a cyst. 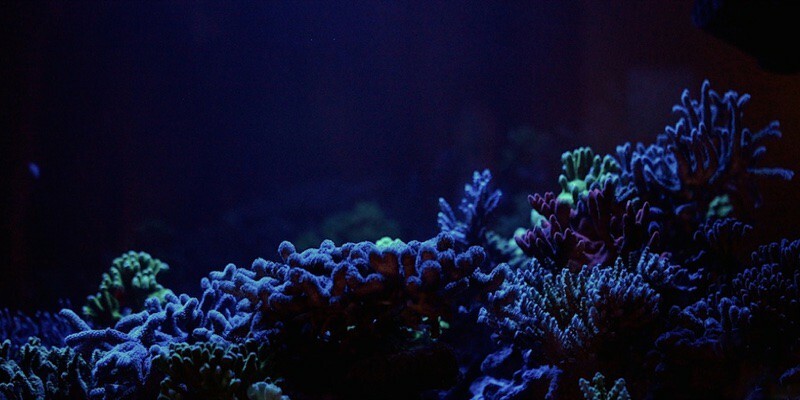 This dinoflagellate is spreading dangerously in many hobbyist's aquariums , all of this is motivated by the collection of water and rocks from our local coasts (especially in summer when rising temperatures and photoperiod makes them very abundant) and the bad habit of most stores selling their animals without making any type of quarantine or testing on the microscope. 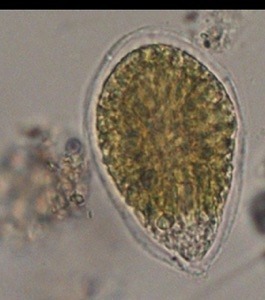 Although less abundant and almost unknown, there are also dinoflagellates heterotrophic (require other organisms or external substances to feed upon), such as oxyrrhis marina, a small, very fast moving protist able to engulf organisms much larger than itself. In future articles I will discuss in detail everything about dinoflagellates: their impact on aquariums, how to identify them, positive and negative actions to take… I am convinced that with the current trend to maintain low nutrient aquariums (and low biodiversity), the increasing emergence of businesses with little knowledge (and ethics), and globalization that makes an animal can be moved from a reef to our aquarium in a few days and without observing proper hygiene and quarantine tasks, dinoflagellates can become the scourge of modern aquarium.